Current representative: The current representative for the 85th District is Rep. Ben Frederick (R-Owosso). The district includes Shiawassee County and Brady, Brant, Chapin, Chesaning, Fremont, Jonesfield, Lakefield, Maple Grove, Marion and Richland townships in Saginaw County, according to the House Republicans. He is chair of the House Workforce and Talent Development Committee and a member of the Commerce and Trade, Local Government and Agriculture committees, according to House Republicans. Rep. Frederick was first elected to the House in 2016, taking office in 2017. 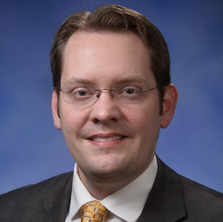 According to Rep. Frederick's official website, he served as a legislative staff member for 14 years in both the Michigan House and Senate, including time as chief of staff to former state Sen. Roger Kahn. A map of the 85th District is available here. Rep. Frederick raises money through a candidate committee, Ben Frederick for State Representative, and a leadership PAC, Building Experience Now PAC (BEN PAC). The leadership PAC launched in August 2017.